Accurately calculating the extent – or stage – of bladder cancer in a patient is vital in determining the treatment options. If the cancer has spread deep into the four layers of the bladder, then a radical cystectomy (the removal of the bladder) may be the best option. If it is still in the early stages, a less invasive treatment with fewer long-term side effects could be utilized. “However, we’ve been suffering for decades with inadequate staging of bladder cancer,” said Cheryl Lee, MD, Chair, Department of Urology at The Ohio State University and bladder cancer expert at Ohio State’s Comprehensive Cancer Center – James Cancer Hospital and Solove Research Institute (OSUCCC – James). While current imaging techniques, such as a CAT scan, can determine if bladder cancer is present and the size of the tumor, they can’t “show if the cancer is invading just the superficial muscle, or the deep muscle of the bladder,” Dr. Lee said. Now, with the help of a Pelotonia Idea Grant, Dr. Lee and her team in the Department of Urology and members of The Ohio State University Department of Biomedical Informatics will utilize digital pathology and advanced computer analytics to better analyze tissue samples from a patient’s bladder cancer to better determine the stage of the cancer. There are three components of bladder cancer staging: T stage, which is the growth of the tumor within the layers of the bladder and nearby tissue or other organs; the N stage, which indicates if the cancer has spread to the lymph nodes near the bladder; and the M stage, which indicates the cancer has metastasized and spread to other lymph nodes and organs further from the bladder, according to the American Cancer Society. A T1 bladder cancer is the least invasive stage and the stage in which doctors and their patients must decide between a more conservative type of treatment or a radical cystectomy. 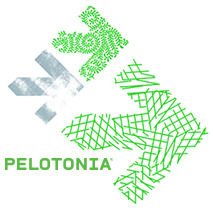 In the Pelotonia Idea Grant research, Dr. Lee; Dr. Metin Gurcan, PhD, Director, Division of Clinical and Translational Informatics; and Dr. Anil Parwani, MD, PhD, MBA, Vice Chair and Director of Anatomic Pathology will utilize the latest advances in digital pathology and computer analytics that use sophisticated algorithms to analyze bladder cancer tissue samples. Working with her patients and their families to make the treatment decisions that lead to the best outcomes is what drives Dr. Lee.